As part of the tour for Read, Remember, Recommend, the author Rachelle Knight is writing about great summer reads. Check out Rachelle's website for more summer reads. Is a trip to a deserted and sunny tropical island in your summer plans? 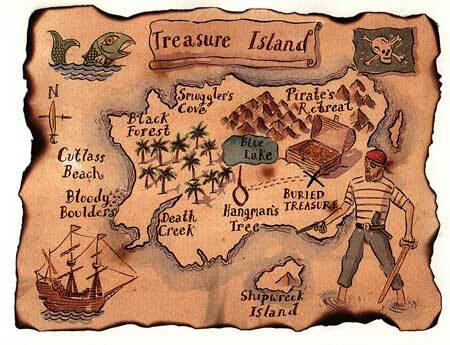 Have you ever wanted to search for buried treasure from an old map? Would you like to spend some time with pirates named Black Dog, Bones and Long John Silver? 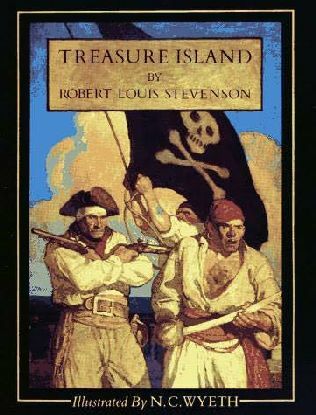 Then Treasure Island, the classic and famous book about pirates by Robert Louis Stevenson, would make the perfect summer read. Don't let the idea of rum swilling, gun toting, scruffy men scare you - this is a book anyone can enjoy - and no one will regret reading. Treasure Island is the quintessential pirate book. 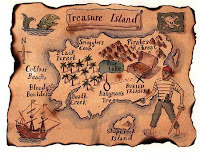 Almost all of our currents ideas of pirates are from Stevenson's story of Jim Hawkins; including treasure maps with an X marking the spot, peg legged pirates, parrots on shoulders of the meanest of men and voyages to tropical isl ands. Jim, a young boy from England, gets the chance of a lifetime when he is asked to join the treasure searching ship Hispaniola. What follows is one of the best adventures in the history of literature with mutiny, stockades, rum, death and of course, treasure. Treasure Island is listed in the College Board 101 Great Books: Recommend for College-Bound Readers list on page 109 of the Read, Remember, Recommend for Teens reading journal. You can win your own copy of Read, Remember, Recommend for Teens-just for GreenBeanTeenQueen readers! I am new to your blog and I really like your reviews. I am getting some good ideas of books to read. I am a 10-year-old who blogs book reviews for tween/teen and some YA books too. I grew up in the Caribbean right next door to an island called Dead Chest. Supposedly Blackbeard marooned some sailors there with only keg of rum. They attempted to escape by trying to swim to a near-by island. Their bodies washed ashore at a beach now called Dead Man's Bay. This story is believed to be the inspiration behind Stevenson's story. I was just hoping I could get my hands on the teen RRR book! I have the adult one already and I'd love a chance to win this one!